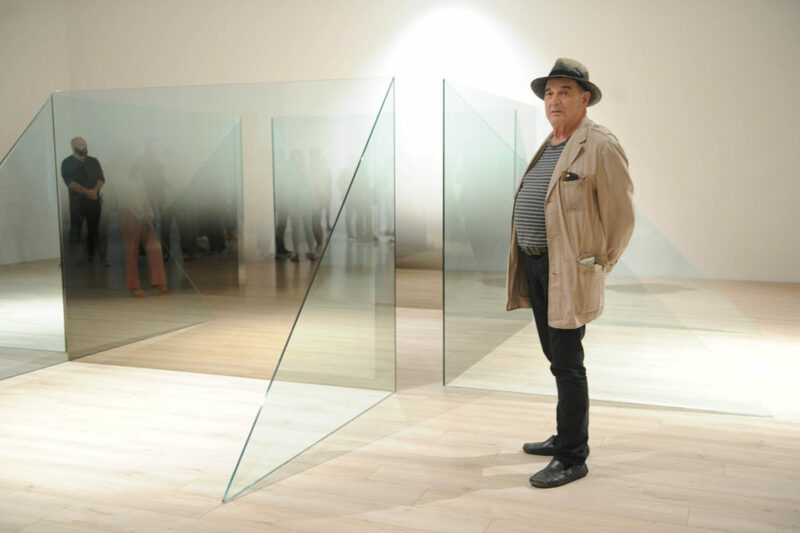 ICA Miami welcomes renowned West Coast minimalist artist Larry Bell to ICA Ideas for a conversation with Jan Tumlir on Bell’s decades-spanning career and his newest exhibition at ICA. Admission is free with required RSVP. Jan Tumlir is an art writer and teacher based in Los Angeles. He is a founding editor of the art journalX-TRA and a regular contributor to Artforum. He has written exhibition catalogue essays on the work of such artists as Bas Jan Ader, Uta Barth, John Divola, Cyprien Gaillard, Allen Ruppersberg, and James Welling. His books include LA Artland (cowritten with Chris Kraus and Jane McFadden, Black Dog Press, 2005) Hyenas Are… (Mousse, 2011), and The Magic Circle: On The Beatles, Pop Art, Art-Rock and Records (Onomatopee, 2015). In addition to serving as an advisor at ArtCenter College of Design, Pasadena, Tumlir is a visiting professor at the University of California, Riverside, and Washington University in St. Louis. Larry Bell. Photo: World Red Eye.